The incredible honor of the Presidential Award not only recognizes my work as an educator, but also those who have influenced me as a teacher. This honor is shared with my family, colleagues, and mentors who have encouraged and supported me in my work. This award also honors my students who have taught me so much about the trust and excitement that each day’s learning experiences can bring. Their enthusiasm, frustrations, and accomplishments encourage me to excel each day. Heather Wollrich has been an educator for 18 years, currently teaching all subjects for kindergarten at Bear Valley Elementary School. Previously, Heather taught kindergarten for five years at Sand Lake Elementary School. 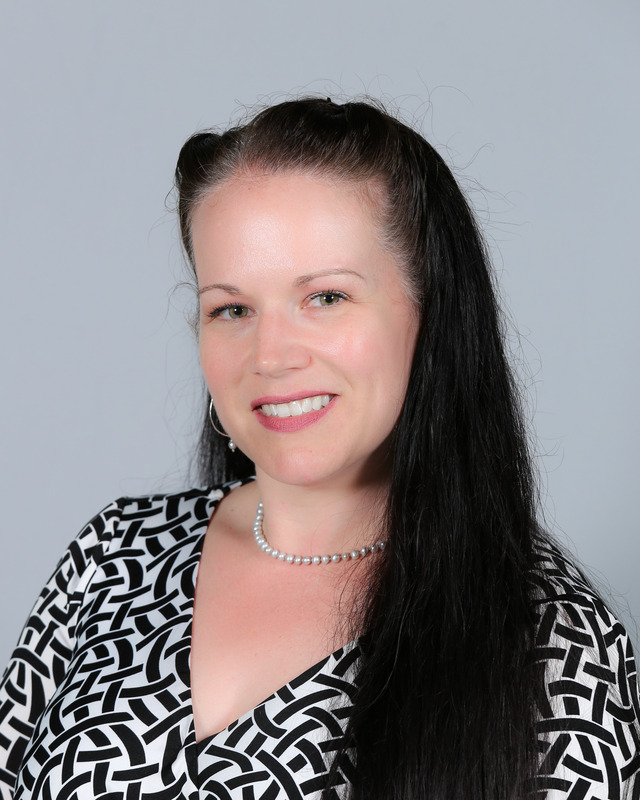 Using her understanding of young learners, their interests, and how to engage students, Heather worked with the Anchorage School District’s STEM Department to write and pilot its new science curriculum. In this process, she served on the primary leadership team to align the Next Generation Science Standards with new curriculum, creating learning experiences, science notebooks, and scientific drawings. 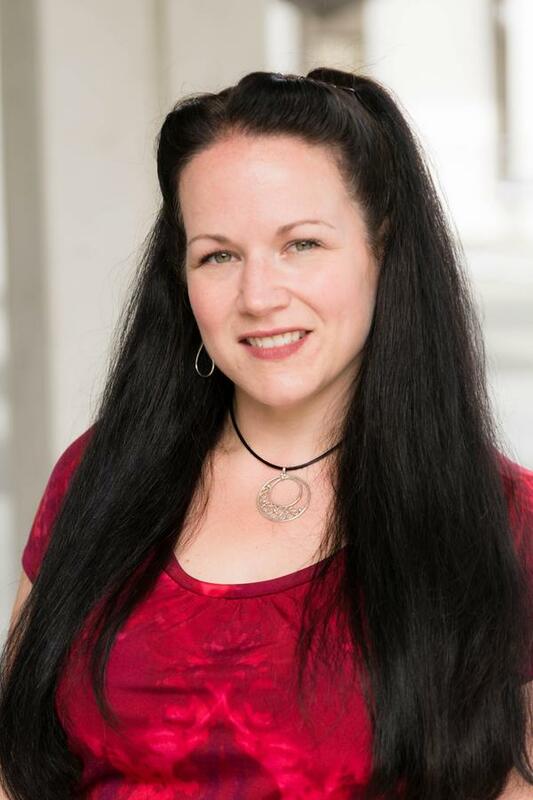 Heather utilized her extensive knowledge of Social and Emotional Learning (SEL) to ensure incorporation of SEL standards into the primary level learning experiences. Heather has presented professional development for STEM and SEL at local and regional levels. She has written grants to bring technology into the classroom including digital microscopes, physics tools, and 3D printing. Heather brings science to children in a hands-on inquiry-based manner. She introduces challenging science concepts and fosters independent thinking in her students. Heather earned a B.A. in elementary education from the University of Alaska, Anchorage. 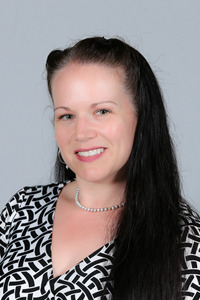 She is rated as a highly qualified teacher, and is certified in kindergarten through eighth grade elementary education. 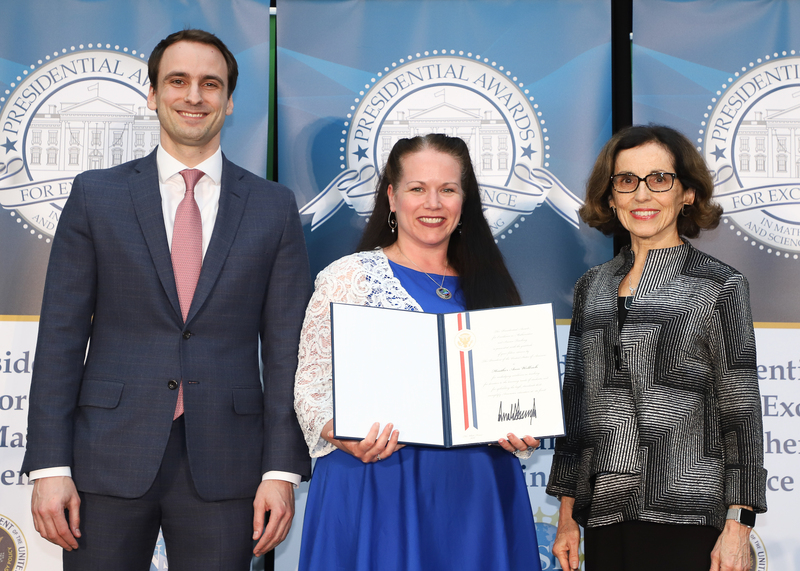 Awardee holding Presidential certificate between Deputy Assistant to the President and Deputy U.S. Chief Technology Officer, Michael Kratsios, and National Science Foundation Director, Dr. France A. Córdova.